This morning's Chic of the Week is about more than a dress--we're going to be looking at pieces from The Bouffant Collection. Friday we had a peek at a few of the pieces in the post about Indie Designer Shops. Bouffant shapes,silhouettes and the fabrics that create this look are classic and belong to the traditional bride. Grace Kelly wore a bouffant skirt and Val lace on her wedding day. I added this capsule collection to the mix because I wanted to reach all those brides with time honored tastes. 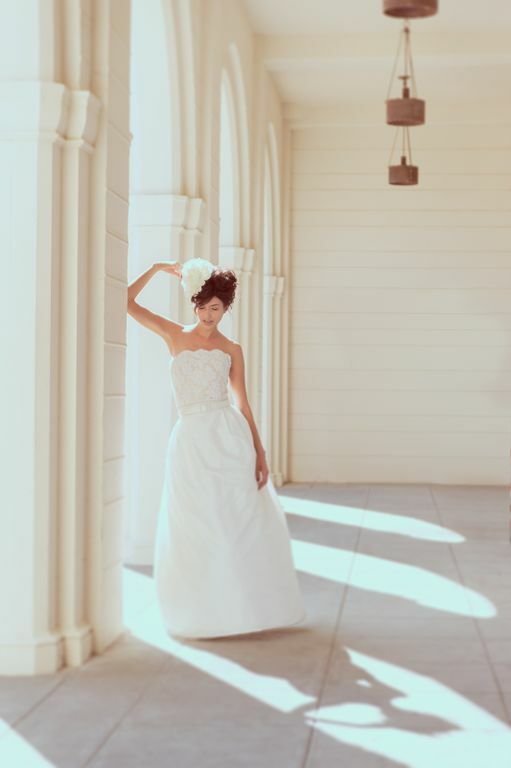 Kudos to Bay Area based photographer Taralynn Lawton for capturing these images with such creativity. These bouffant gowns are just so romantic and so elegant! 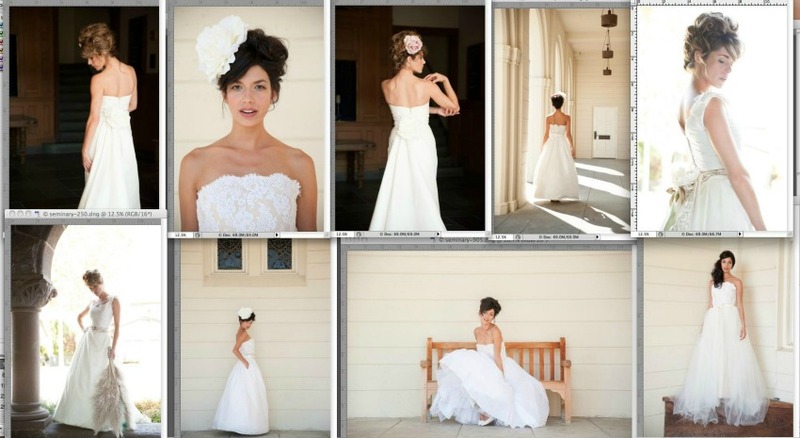 While they are all wonderful, I think my favorite picture is of the bare-shouldered gown, third from the top. A lovely dress, and a fine piece of photography with the arches as a background.